Heart of Placerville beauty! 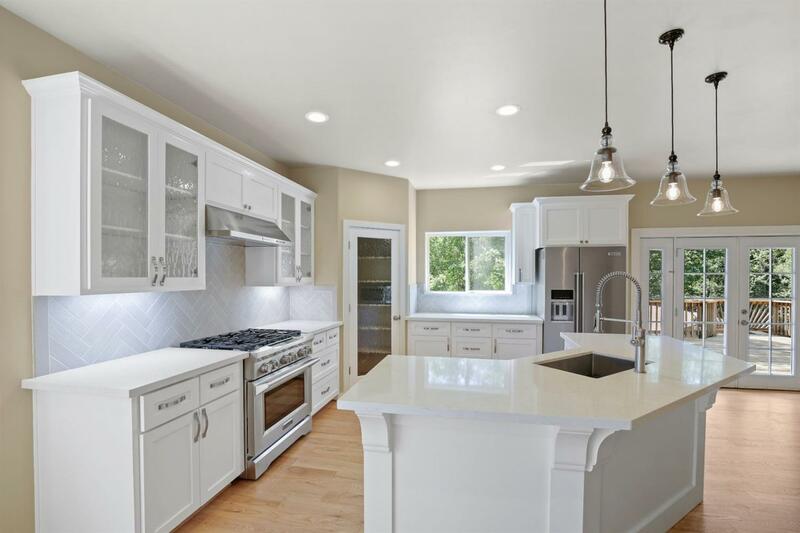 Freshly refinished hardwood floors and 2018 remodeled kitchen make this 4 bedroom, 2.5 bath property a must-have for buyers who want a light and bright home. Smart design and floor plan make this home a joy to live in. Bedrooms, two full baths and laundry room are all upstairs. Open concept downstairs ties together dining area, kitchen, and living room into one big space that flows well and makes for a great place to get together and a relaxing place for family time. French doors open out to an expansive deck that's a fun spot to entertain or enjoy the Placerville pines. Kitchen is tasteful and modern with KitchenAid appliances and white granite counters. This house is close to downtown Placerville's charming Main Street and all of its restaurants and shops and just a few minutes from Highway 50 for easy access. Close to City Park and Rotary Park. Don't wait - come see this gorgeous house!